Catalyst Science Discovery Centre is thrilled to announce it has been successful with a grant application of £754,600 from the Inspiring Science Fund. With additional match funding this will mean a total project investment of £1,078,000 for the Widnes based centre. The ISF scheme, which is co-funded by BEIS and Wellcome, supports science centres across the UK. It is a capital fund that helps centres rethink what they do and what they offer to the public. Catalyst is one of six centres that is to receive funding from the final round of ISF. 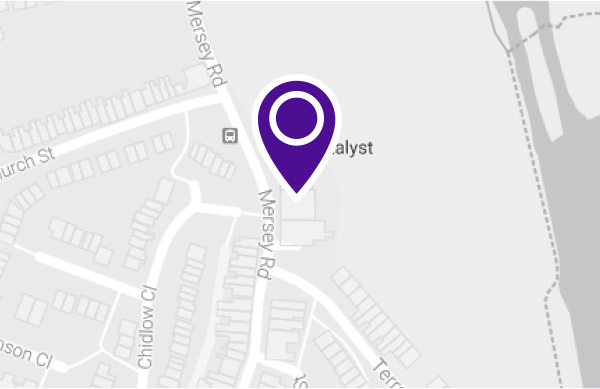 Catalyst is an independent charitable trust operated by Catalyst Science Discovery Centre and Museum Trust Limited. The Inspiring Science Fund is co-funded by the Department for Business, Energy and Industrial Strategy (BEIS) and Wellcome. The scheme supports science centres to rethink what they do and what they offer to the public. The aims of the fund are to revitalise the offer of existing science centres through capital development, such as new exhibition spaces and learning centres, and the opportunity to develop meaningful engagement with underserved and underrepresented audiences. This opportunity to refresh how science centres are operating will lead to more sustainable business models, and contribute to science centre sector development through shared learning. UK Research and Innovation (UKRI), the new funding organisation for research and innovation in the UK, will succeed BEIS as co-funder of the Inspiring Science Fund later in 2018. UKRI brings together the seven UK research councils, Innovate UK and a new organisation, Research England, working closely with its partner organisations in the devolved administrations. The Department for Business, Energy and Industrial Strategy brings together responsibilities for business, industrial strategy, science, innovation, energy and climate change. The Department is responsible for: developing and delivering a comprehensive industrial strategy and leading the government’s relationship with business; ensuring that the country has secure energy supplies that are reliable, affordable and clean; ensuring the UK remains at the leading edge of science, research and innovation; and tackling climate change. We’re a global charitable foundation, both politically and financially independent. We support scientists and researchers, take on big problems, fuel imaginations, and spark debate. We believe that if the public – by which we mean individuals, communities and society – are actively involved in our work, then Wellcome will be more likely to succeed in its mission and will become even more accountable. One Small Step, One Giant Celebration! Mersey Road, Widnes, Cheshire, WA8 0DF. Catalyst has a large free car park.